I certainly had myself a profitable evening and if you had followed me, you would have as well! Called Ty jerome to hit the first 3 for +350, called the over due to the 3 ball and also told you not to be surprised if it goes to OT. A big win that I am proud of - follow me and check out my post below!! The true college final was already played when Texas tech played Michigan state. Texas tech and the under. Gonzaga and Michigan are much difficult then Purdue and Auburn. You are are one eyed fish if you cannot analyse this. If Tech moves the ball around they came walk away with this one hands down even with how tough Virginia's defense is. The Cavaliers have a tendency to go cold on the floor and it would be bad juju to do that tonight. Tech just needs a ray of light to put it away. This one should be a very slow game where every possession is huge and for that reason I have to take the better defense and Tech has the weapons on offense as well Tech-1.5 and imma also take over. First one to 50 wins? Everybody predicting an epically low scoring game. Give me the Marauders and Under 117.5. Tech wins 60-54. 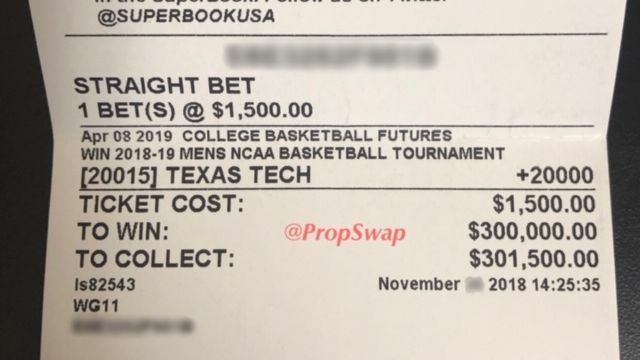 Under Chris Beard, Texas Tech is 9-0 against the second half spread in the NCAA Tournament, covering by 7.9 points per game which means if UVA doesn't cover on the 1st half line, I'd definitely put money on the Red Raiders taking it home and winning on the 2nd half line. I like the over on this one. With all the OT we've seen in this tourney, I wouldn't be the least bit surprised to see this one head there to and crush the large amount of Under Plays on this one. I expect some three's to be taken often and should help get us above the 118.5. I love that 1st player to hit a 3 at +350 for Ty Jerome and will play it. Great reward, low risk play. Pick and roll up top should see a lot of it. Tariq Owens scared Tech fans Saturday night when he went down with a what appeared to be a nasty ankle injury. But he looked great after returning from the locker room and is reported to be feeling 98%. So that's great news for Tech fans as Owens greatly increases the odds of winning tonight. Owens is 6' 11" and freakishly athletic for a big man, locks down the paint and can shoot anywhere from 20 foot in. And it's hard to ignore Virginia's poor shooting and lack of offense and this Tech Defense with Tariq Owens will be their toughest test of the tournament. Raiders are playing with a lot of confidence right now and Tech has a little more fire power on offense with scorers Culver, Moretti and Mooney. Any of the three can go off and have a 20 point game at any time. And Look for David Moretti to have a big game and maybe play hero. Let's cancel class tomorrow and Wreck Em'!! Gran final, equipos frescos, mucha defensa, y el mejor torneo de el mundo, pero hay que ir por algun equipo, no se vale solo ver el espectaculo que se nos viene hoy en la noche. 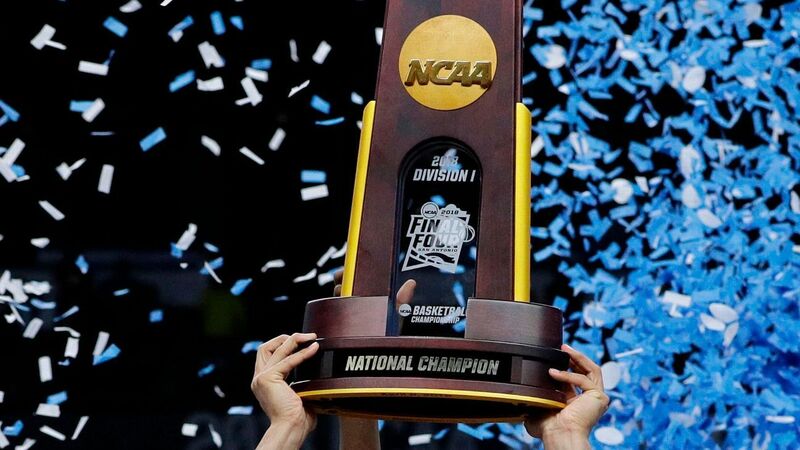 Great final, fresh teams, a lot of defense, and the best tournament in the world, but you have to go for a team, it is not worth watching the show that comes to us today at night. Hola Exeter! Good luck, I bet the Raiders tonight. Hope we get an exciting game. I know its against common sense but take the over. No way the score will be under 120. Seen many situations where two top defensive teams end up in a shoot out. Maybe not the super bowl but that was the exception:). Two of the top three defensive teams in the nation face off and it sets up to be a low scoring game as everyone is predicting- Texas Tech was third in the nation in points allowed per game at 58.8 while Virginia was first in the nation at 55.5. Texas Tech has played well covering the number in its last 5 NCAA Tournament games. The difference in this one for me is on the offensive end of the floor; Texas Tech has more scorers lead by Jarrett Culver and Matt Mooney will give the Red Raiders the offense they need to win. Per the Star-Telegram in Forth Worth - Texas Techs Tariq Owens is expected to play Mondays national championship game against Virginia, coach Chris Beard told reporters Sunday. Play Texas tech. They played tougher teams to get here. Texas will destroy Virginia. Destroy is a strong word but let's hope you are right! I like Sparty here. They got the leadership advantage in this game both in the coaching department and on the floor department. And that is critical for these types of games. I like for Winston to carry this team to the championship game. 6 points is a lot for Virginia to cover so I am going with Auburn here. I think this game is going to be close and shouldnt be decided by more then 6 points. I like Sparty to advance to the finals. Both teams have standout defenses, which means what matters in this game will be how and where the offense comes from. For Michigan State, it begins with Winston both as playmaker and scorer, and after his performance against Duke, it is evident that no one person is going to be able to fully contain him. How the Red Raiders limit the damage may involve letting Winston get his points while closing off his teammates. Michigan State runs excellent offensive sets, something that was shown time and time again against Duke. Winston finished with one turnover while playing all 40 minutes, and he may need to have that kind of effort again versus Moretti and Mooney and anyone else Beard throws in his path. Little things are going to be the difference in this game, like plays coming after time outs. Izzo showed a masters touch against Duke, and the belief is there might be one of those plays that results in Michigan State winning and covering to make its first NCAA Tournament title game appearance since 2009. I like the Cavs in this spot. This one seems to be a lot like Virginias game against Purdue. The Boilermakers stung the Cavaliers with their perimeter shooting as it gave them the jump early. When the Cavaliers adjusted and played tighter on the shooters, Purdue had their struggles putting points on the board. The shots they did hit in the second half were well-defended. Auburn was hot from the perimeter against North Carolina and they had some success against Kentucky to open up lanes to the basket, especially in the second half. Virginia should be able to limit Harpers drives to the bucket, something that he utilized effectively against the Wildcats. Guy found his confidence in the win over Purdue, especially in the second half, and thats something that cant be overlooked. The Tigers overcame the loss of Okeke against Kentucky but they cant overcome Virginias experience and their defense. The Cavaliers move on to the title game with a complete performance here.